“That’s not Banting.” “Is that Banting?” These phrases are littered all over the place. Facebook and Twitter are alive with low-carb vigilantes fighting the good fight, debating the Bantingness of products and ingredients. Phonies are regularly crucified by the Banting community for not being as pure as purists should be. Much like a religion, the Banting community is split into a variety of sub-sects: The weight-loss people; the healthy lifestyle people; the people who want meal plans; and the people who want content and debate. Each group has its own understanding or interpretation of Banting, and they all enforce the rules in their communities in different ways. There is nothing wrong with this. This is what we hope to empower each of you to do with your groups. Because it is our aim to empower people to educate themselves, RMR will never enter debates on social media about whether or not something is or isn’t Banting. We don’t generally like to engage over issues like specific brands and products, although there are few big guys we don’t mind fighting. Coca-Cola, for instance, is undoubtedly red listed. When Prof Noakes wrote his piece on the dietary lies in the back of Real Meal Revolution, he used the term ‘LCHF’ throughout, but we felt that we wanted a simpler word to symbolise this health movement. After reading the story about William Banting again, it seemed appropriate to name the diet after him, seeing as though a variation of it was named after him in the past. We felt that. Banting was the way to go instead of LCHF because the word could be used in many formats. • I am a bad Banter. It is a fun word, and it makes LCHF more appealing. You see, ‘Banting’ was never meant to be a religion. In our view, The Tim Noakes Diet, The Banting Diet, and LCHF are all similar, or the same in some ways. When William Banting started Banting in 1863, Banting might not have been strict LCHF. Back in 1863, Banting included rusks, sherry, and one or two beers. There is some confusion about what Banting actually is, and understandably so. I drew out the framework of the Real Meal chapters and recipes while Prof Noakes and Sally-Ann were tasked with writing certain sections on nutrition and history. Sally-Ann also advised me and David on which ingredients were appropriate in the recipes. Sally-Ann and Prof had their own preferences, based on their own health experiences. Prof was more concerned with the carb count and fat content of foods because his primary focus was on healing serious diabetics with extreme insulin resistance, like himself. Sally-Ann was able to bring her experiences into the lists with finer details such as nutrients and anti-nutrients. My primary goal was that the lists were easy to understand and that they translated well into recipes. The main point we were all united on was that we wanted an eating plan focused on real foods that eliminate processed goods, refined carbs and sugar. After all of the research, the lists were put together based on what we jointly agreed we would recommend to fellow Banters. There are reasons why each item was specifically put on each list, but as an “experiment of one” and with your own needs in mind you can mix and match them, as long as you adhere to the principals of Banting: real food, no sugar, no processed carbs and net carbs ranging from 25g – 200g, depending on your insulin resistance, your activity level and your health. An example of debate: Onions, for instance, are green listed, but they have the same carb count as apples. The difference is that most of the time people use one onion to make a batch of food for two or four people, leaving each person with either half or a quarter of an onion in each portion, while most people would eat a whole apple without batting an eyelid. Situations such as this kept cropping up when compiling the book. That’s why the lists don’t always obey the rules of just ‘carb count’ or ‘toxicity’. What we have learned is that you cannot accept everything at face value. It is up to you to empower yourself and to do your own research. You are responsible for your own health – if something doesn’t sit right with you – feel free to boycott it. We are not of the opinion that anyone should discriminate. We feel that the decisions you make to improve your health are personal, although we can guide you. RMR would advise a person with all the symptoms of metabolic syndrome and who suffers from type 2 diabetes to keep his/her carb count between 25g and 50g a day (largely made up of green leafy vegetables), and if he/she feels hungry, we would recommend filling the gap with good quality fat and protein. We strongly believe that it would be best for this person to aim for the above while only eating foods that are as real as possible. Following the above advice, according to every low-carb expert who attended the Old Mutual Health Convention last year, will bring down your blood sugar and reverse a large number of health issues relating to the metabolic syndrome (MS). Dr. Eric Westman (one of the Titans of LCHF in America), after years of clinical research, helped write the New Atkins for a New You. It was this book that swayed Prof Noakes into believing Banting was the way forward. Eric runs an obesity clinic and deals with only the poorest Americans. They can’t afford coconut oil or organic bacon. In fact, Eric, who still consults on a daily basis, prescribes Spam as the most affordable high-fat protein to eat for people trying to reverse MS.
One look at the ingredients of Spam would place this firmly on our red list, according to the rules of RMR. Does that mean that you won’t lose weight or regularise your blood pressure if you eat Spam? Does it mean that you are not going to get healthier if you replace cheesy puffs and white bread with Spam? No. That’s not an opinion. That is a fact. Dr. Westman has taken people off McDonald’s and put them onto Spam, and they have improved their health and lost weight. On that note, he has also told some people to carry on eating McDonalds, but just to avoid chips, soda, and bread. So in other words, eat the meat and salad and have water instead of the fizzy drinks. Those people lost weight too. So how red listed is Spam? Even more shocking – we nearly died when we heard Eric’s view on GMO. He told us that scientists in the US were genetically modifying a strain of algae to yield 80% of its mass in good fat. With great enthusiasm and delight he told us that in the near future, we would be able to reverse the metabolic syndrome by prescribing a diet of only algae and Spam (obviously only to the poorest of the poor). How could this like-minded LCHF hero mention GMO in a positive light? What Eric and the other LCHF champs taught us about eating is that there are priorities. There are tiers of relevance that we need to be conscious of when it comes to the food we choose to eat. We’re not suggesting you buy shares in Monsanto. We’re saying that we need to be aware and realistic. If you are obese and, you have diabetes, what is more important? The fact that someone put pea protein isolate on your roasted nuts or the fact that you’re eating less than 50g of carbs a day? Anyone who understands insulin would vote for less than 50g a day. When you are insulin resistant, nothing is more important than keeping your carbs low. That is priority number one and arguing about what list an ingredient should sit on is missing the point. The argument should be about how many total or net carbs one has had in one day. 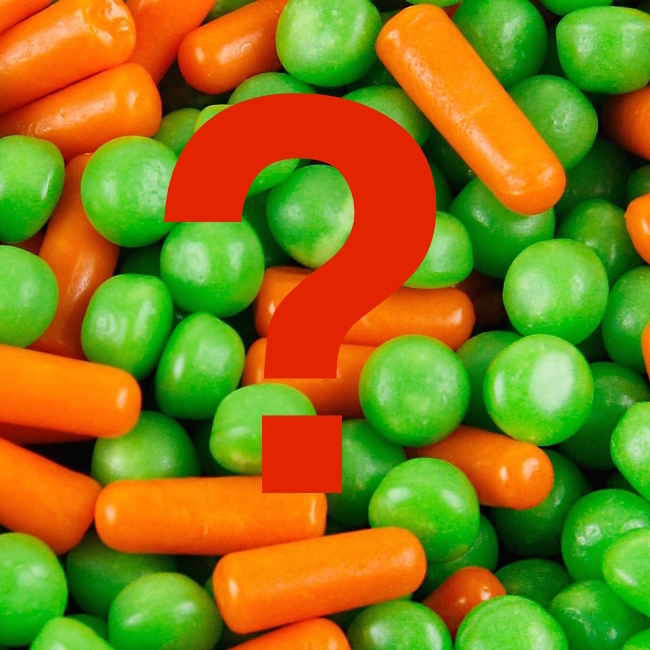 Some may ask, “How come xylitol is green listed when it is processed but potatoes are red listed when they have the same carb count as a sweet potato which is on the orange list?” It is a minefield. There is a reason for each item being on each list, but most of them aren’t set in stone. If you rated all of the ingredients on the lists purely by carb count per 100g, you would get a very different set of lists. Likewise, if you scored each ingredient on how real it was or how many phytates it contained, the lists would also look different. Organic stone ground flour is as real as it gets. Is it Banting? What about environmentally friendly ingredients? The debate continues. If something doesn’t feel right to you, you owe it to yourself to do your own research and come to your own conclusions and to do what fits right for your own health. Our mission is to change the world and to do this we will need to honour everyone’s health. If we want to stand by our convictions, we need to look at all of our options. We certainly don’t think our lists alone will change the world. They are a rough guide. LCHF has been around much longer than our lists, and I would believe that every Banter in the world (even if they didn’t know they were Banting) has their own way of making it work. Anyone can eat whatever they want – BUT – everyone also needs to make informed decisions and read the labels. They must check the carb count. They should worry less about individual carb counts per ingredient (although they are still a concern) and worry more about the total carbs consumed throughout the day. We need to encourage people, with their own health goals and economic positions in mind, to decide whether or not they are happy with whatever the ingredients in specific products are entering the body. The number one rule when Banting is to eat real food – no sugar, no refined carbs, no processed foods. This is not a diet; it is a lifestyle, and it is your lifestyle. The rest is up to you. The above article is taken from one of the many lessons we have included in the Banting Elite training program. RMR and The Noakes Foundation are training an army of passionate Banters to run Banting support groups around the world. They’re going to help us change the world by dampening the noise and confusion in the Banting environment by spreading the real Banting Philosophy. That’s right. It is a philosophy not three pages of ingredients. If you want group support from people who know what they’re talking about, watch this space because a few weeks from now, we will be launching Real Groups in 10 countries around the world.